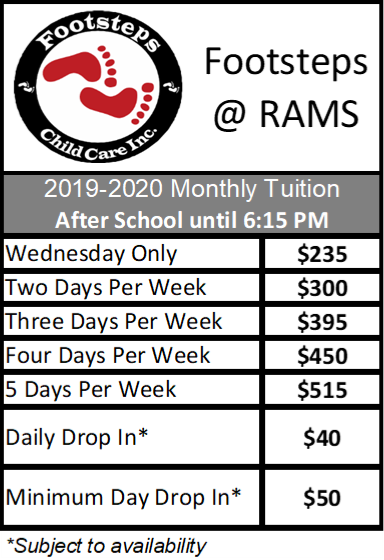 2019-2020 Enrollment - Footsteps Child Care, Inc.
Enrollment for the 2019-2020 School year will open on April 1st, after school assignments are released. If your school assignment will be released after April 1, multiple sites may be listed on your enrollment form. Please contact us promptly when your school assignment is finalized. 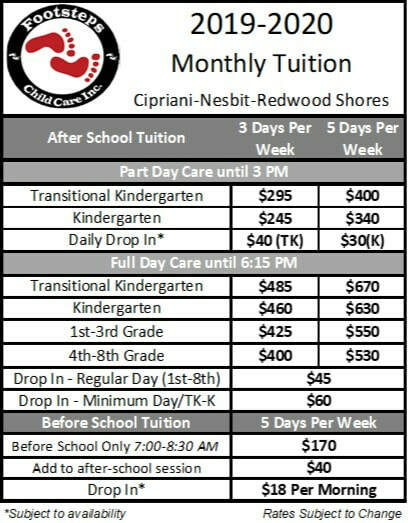 Enrollment is first come, first-serve, siblings and returning children are guaranteed enrollment through May 31st. For information or site visits, please contact the site director. To enroll, complete the correct enrollment forms linked below. Forms should be completed in Adobe Acrobat, other pdf readers may not work correctly. 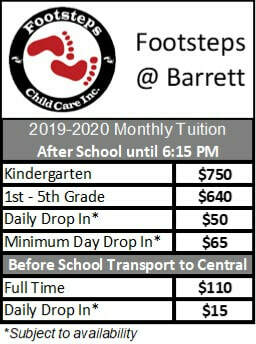 Signed forms can be emailed to office@footstepschildcare.org or brought to our Administrative office.